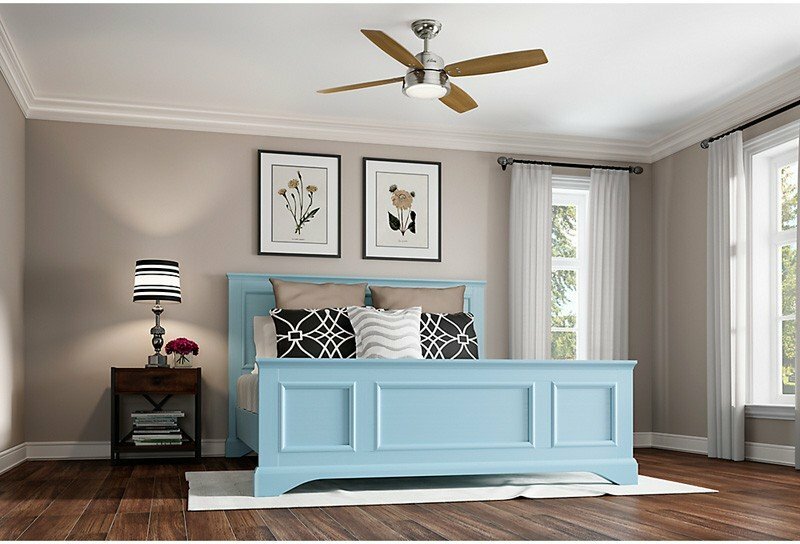 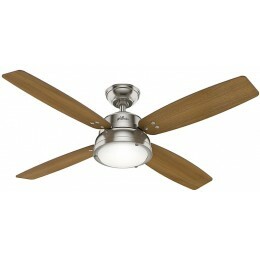 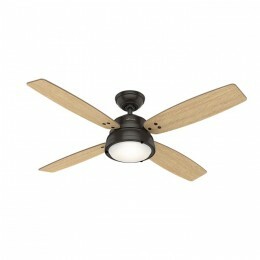 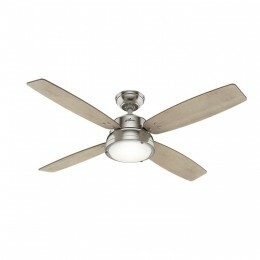 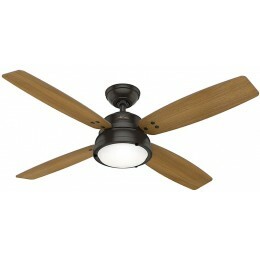 Casual finishes complement the rustic design elements on the Wingate transitional ceiling fan. The noble bronze finish accentuates the industrial details like the rivets on the blades and the thumbscrews holding the light glass while the brushed nickel finish complements coastal, nautical indoor rooms. 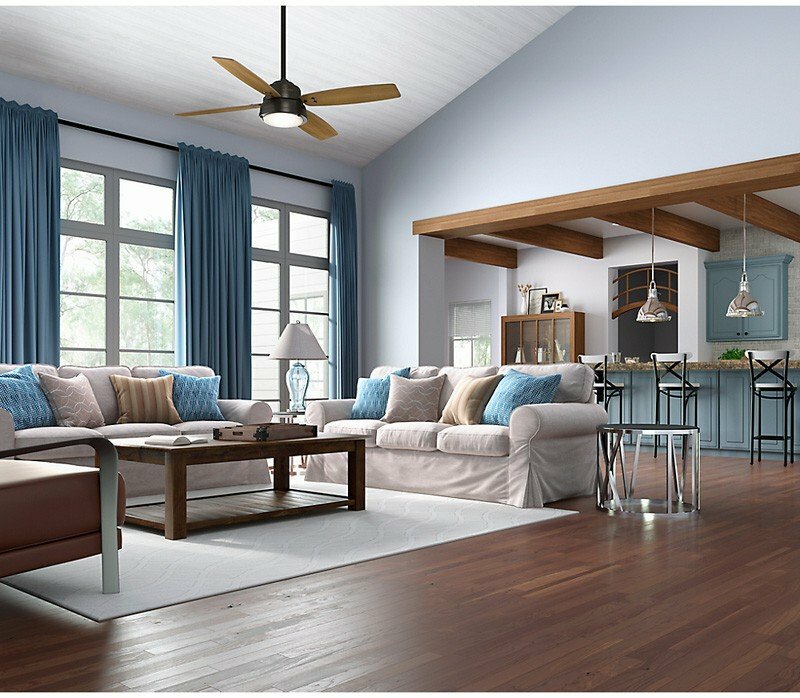 Featuring an LED energy efficient light and WhisperWind motor technology, the Wingate rustic ceiling fan will deliver powerful performance you expect with the style you deserve.